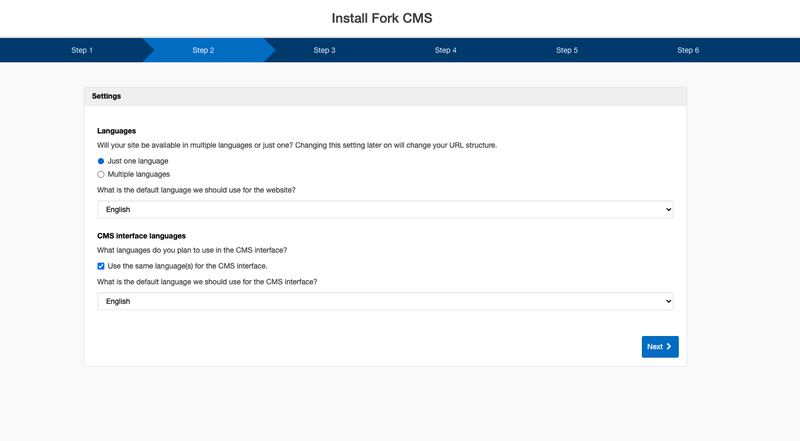 Alternatively, you can install Fork CMS by downloading it from the website. 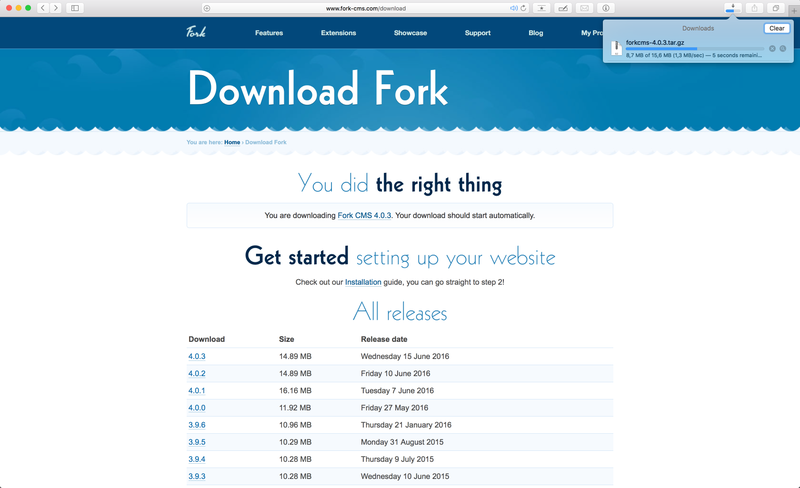 Before downloading, check if your server meets the minimum requirements for Fork CMS. If it does, create a MySQL database and remember the credentials. Next, download the latest release and unpack the folder. 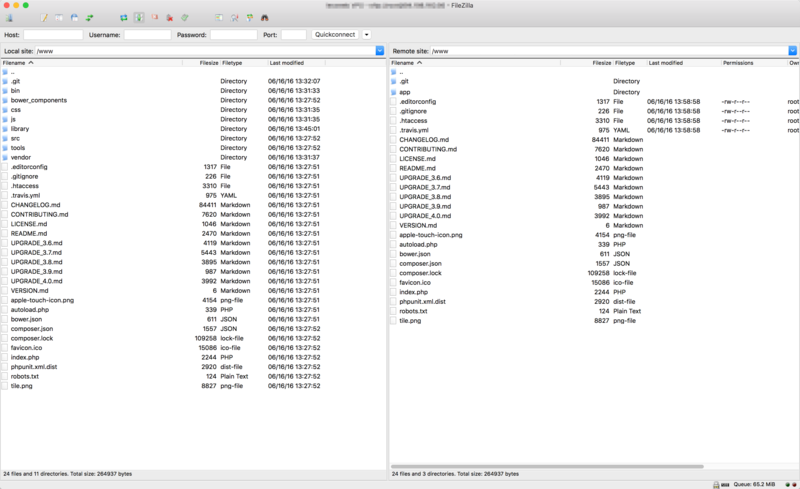 Use an FTP Program like Transmit (Mac) or Smart FTP (PC) to upload the contents of the folder to the root of the server that will host your website. Upload the unpacked files into the document_root of your webserver. Make sure you've also copied the .htaccess file, as it may be hidden on certain fileservers. Use your browser to surf to your domain (this should forward you to the Fork CMS installer). Follow the steps and you're done! Don't panic if you experience problems during the installation. Start by taking a look at our Frequently Asked Questions.